Exclusive! They make up everything. 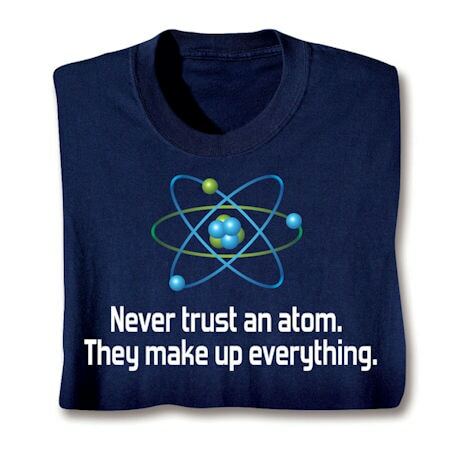 Plus electrons never stand still long enough to get a good look at them. Navy sweatshirt is 50/50 cotton-poly; T-shirt is preshrunk 100% cotton. Sizes S-3XL. Imported.